manufacturing enterprises. 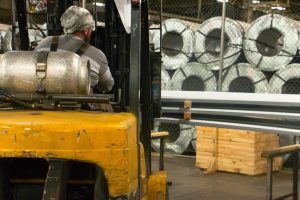 Custom Metal Solutions is turning hard work, tough-as-steel tenacity, and a strategic plan into an industry leadership model. It is a story of vision, mentorship, ambitious learning, planning, and defiance. 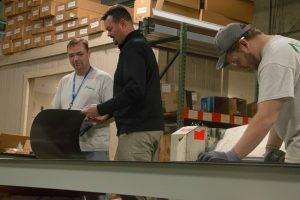 In Mississippi, we have the benefit of being home to many manufacturing companies, and Jeremy Chrislip, CEO of Custom Metal Solutions, has a tale to tell. It is a story of success built on character, planning, and execution. Knowing the start-up story as told directly from the founder provides a privileged look at the nature of the success of a newly established player in Mississippi’s manufacturing community. As a child, Jeremy spent time with his grandfather as he visited his business customers. During these early years, Jeremy was learning. He was doing what many parents (and grandparents) hope kids are doing when we are passing along “adult”-level lessons — he was absorbing. He was taking direction and learning lessons that would help guide his view of entrepreneurship and his measure of success. Jeremy’s grandfather knew the nature of the customer relationship and how to nurture it to build and sustain a business, and Jeremy was inheriting it. To this day, Jeremy still quotes his grandfather and uses his grandfather’s anecdotes to guide his team. Notepad in hand, Chrislip spent every day increasing his product knowledge, understanding capabilities, and mastering quality measures. Daily lunches with his boss and mentor included drills on new knowledge and shared industry insights. Every opportunity to learn and lead was taken. In his early career, Chrislip worked in operations and sales. He was then recruited to participate on a $10 million project to re-engineer the company’s computer systems. It was here that he had the opportunity to formally put together all of the pieces: order entry, costing components, building, materials, inventory, sales, and distribution. He was assigned to the design and quality assurance teams and was then deployed in setup and training. He mastered the systems and transactions. Jeremy learned the ins, outs, ups, downs, lefts, rights, and everywhere in between. Twenty-five employees were identified as potentials in a succession plan for the leadership team as the CEO was preparing to retire and the leadership team was preparing to shift. Chrislip was chosen as one of the candidates. The candidates were sent to Rice University to participate in an executive training program. However, leadership positions were slow to open and Chrislip was feeling the need to find a culture that better resembled the sports team model that never left his mind. The next two years began with a new position as a national sales manager, when he also developed relationships with people in the industry as he began offering consulting as a favor. By the time Chrislip was ready to venture out on his own, he had all of the pieces lined up to do it successfully. After a great deal of research and planning, Chrislip launched Custom Metal Solutions. Equipment was located, funding was aligned, and alliances were formed. The company began with secured funding and vertical integration, where the primary investor was also the company’s first customer. This conservative approach to a launch model added stability and predictability to the start up. Once the business opened, many of Chrislip’s close connections chose to do business with the new company. Vertical integration aligned the company. Best practices made it better. Vision made it work together. Chrislip now had the opportunity to mold a company using the best practices he had been filing away during his early career. He drew inspiration and direction from the three greatest teachers he had in his life: his grandfather, sports, and his mentor. He had done his homework. He had industry knowledge and contacts. He knew how he wanted to model the culture. Jeremy says he is doing nothing new, that he is just executing what is known to be the right way. However, he also brought a few new ideas to the table. 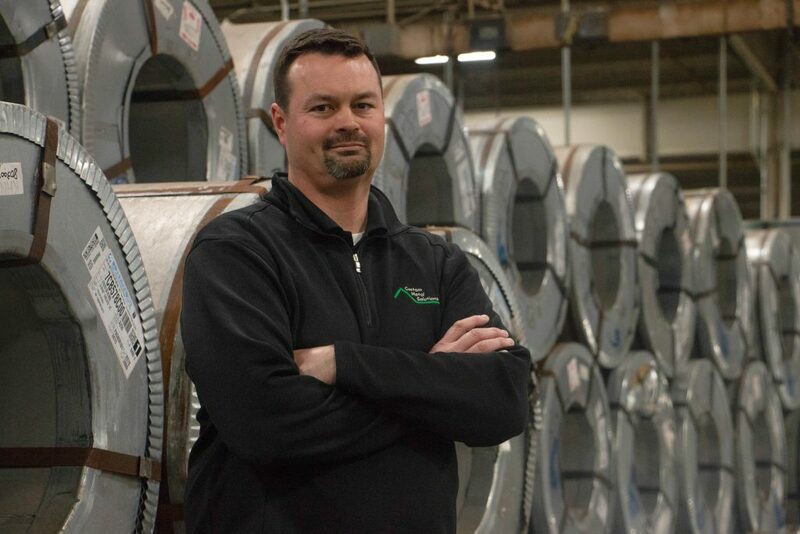 Chrislip had developed buying channels for steel that his competitors could not compete with. 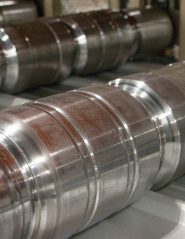 Custom Metal Solutions added value by offering “roll to stock” and “roll to order, ” and offered the convenience of on-site off-loading. Custom Metal Solutions was executing to plan. Wholesale baseline volume determined distribution. The next strategic step was to leverage wholesale security to establish a retail channel. Custom Metal Solutions reached out to a reputable design agency and established its retail brand, secured a logo, built a website, and began to market its products to the public. The result has been another integrated sales channel that has experienced continuous growth.